Sad news this evening as we’re seeing reports that Roger Charlery has died. 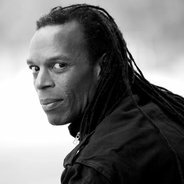 Better known as Ranking Roger, he played in The Beat (known abroad as the English Beat) as well as General Public. He was a pioneer of the Two Tone and Ska scene, and we understand he died after a battle with illness. We’ll leave you with one of his most highly regarded tunes, and one still needed, Tenderness.